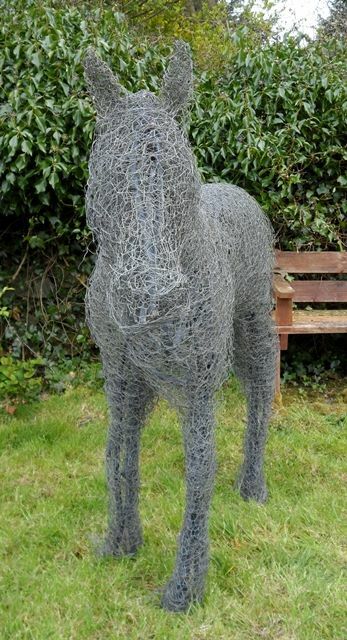 The latest sculpture to be completed by Ecoarts is a wire horse for the Frugaldom project in Dumfries & Galloway. The horse has been made largely from old chicken wire which has been recycled after taking down some old chicken runs. The frame of the horse was made from old sticks from the Frugaldom site with wire gradually wrapped around. The wire was then pressed into shape to add some detail on the head and body of the horse. Any rusting wire was cut away with thinner cut strips used to bind together the larger pieces. 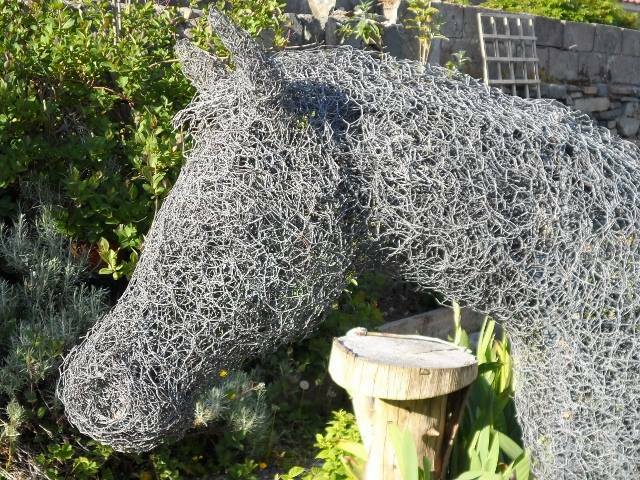 This entry was posted in Recycled, Wire and tagged Chicken wire, frugaldom, horse sculpture, wire horse, wire sculpture. Bookmark the permalink.